I love technology and I love staying in shape, so it should be no surprise that I love fitness tech items like the Fitbit Flex. But not all new fitness tech uses Bluetooth or connects to your smartphone. Case in point: The new adidas Climachill line of workout garments. Climachill relies on a number of new scientific design innovations to help keep you cool during a hot summer workout. Each item is crafted from a special new type of titanium-infused flat yarn that increases heat transfer away from your body as it wicks perspiration. And because metal feels cold against hot skin, Climachill gear also feature strategically located 3D aluminum cooling spheres. 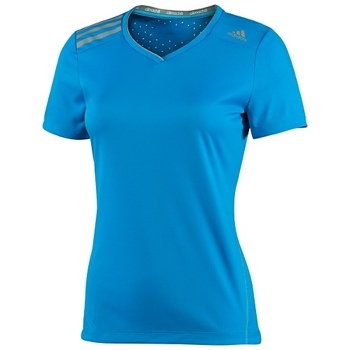 Adidas Climachill running, training and tennis tees, tanks and shorts retail between $40 and $60 each. Yes, that’s a lot of money, but it’s not out of line with what professional-quality workout gear costs. It’s serious gear for a serious runner or gym enthusiast. Adidas Climachill gear is currently available online at adidas.com and at select retailers nationwide.